Every year we look forward to attending Monster Jam, and it’s coming back with three shows January 22nd and 23rd, 2016. Because we love it so much, we want you to enjoy it too, and are giving away one family 4-pack of tickets to opening night, Friday January 22nd. 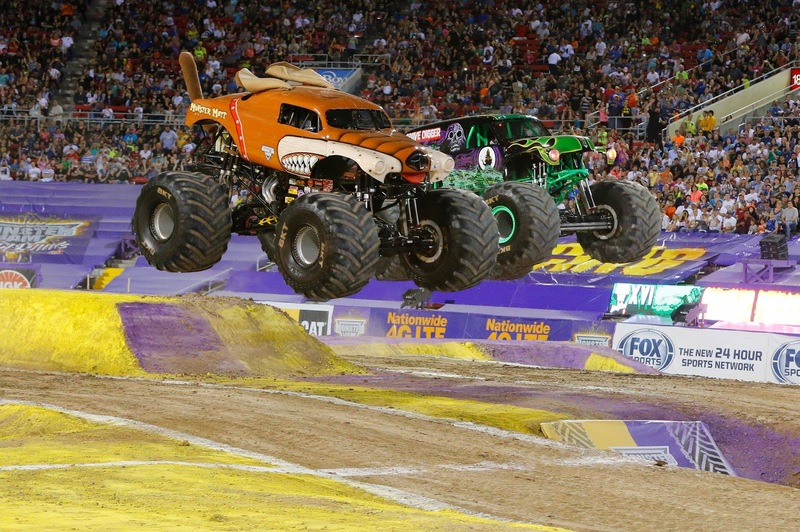 Learn more about Monster Jam and how to purchase tickets, including DISCOUNT tickets. Must be 18 years of age to enter. Deadline to enter is Sunday December 27th 2015 at 11:59pm. Winner will be chosen at random and emailed on Monday December 28th. They will have 24 hours to respond to notification email to claim their prize. Enjoy Utah and Monster Jam will not be held responsible for any reason email is not received after it has been sent. This includes, but is not limited to: lack of internet service, junk or bulk email filtering, email associated with Facebook account no longer valid, etc. If winner has not responded within 24 hours, a new winner will be selected. Winner will be responsible for bringing a valid ID to pick up their tickets at Will Call the night of the show. It's been years since I've been to see the monster trucks! What a great giveaway! I have always wanted to take my boys to this. My boys would love this! Monster truck you tube videos are their favorite I can't imagine how excited they would be to see them in real life! I would love to give this to my nephews for Christmas! Holy smokes! My boys would love this!! Never been to one of these shows...would love to take the kids! My four boys would love to watch this! I am most excited about seeing my son's face as he watches the trucks. He is a huge fan! He would be cheering for Grave Digger, I think. But he also loves the dalmation truck and the Monster Mutt. Thanks for the giveaway! Family of four boys, we would really enjoy those monster trucks! My kids love Grave Digger. I really like the girl that came last time, I can't remember her name but she had a black and pink truck.